The NWN European Team delivered an Introduction to European funding presentation at the CVS Cheshire East funding Forum which took place on Thursday 22 April 2010 at Nantwich Civic Hall. 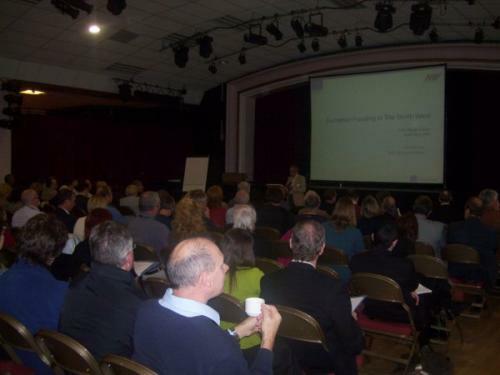 This is was the first major external event hosted by Community and Voluntary Services (CVS) Cheshire East since the organisation was formed in January 2001. The interest in the event has been overwhelming and reflects the difficulties that so many voluntary and community groups have been experiencing in trying to secure grants and sponsorship during recent times. The funding fair was well attended and NWN staff were also on hand to give advice to third sectori organisations.